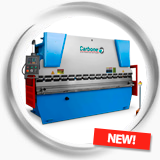 In its new line of machinery for metalworking Carbone Costa Rica presents the line new of manual and hydraulic press brake folding Q3- IN-1 / 1320X1.5 , which is ideal for workshop labor and different types of jobs as cutting, bending and rolling without taking up much space. 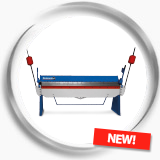 The 3 in 1 has a metal shear , bending and sliding roller . Working up to 1.5 mm carbon steel up to 52 inches wide so it is a high performance machine. Introducing a large variety of hydraulic benders with different widths to work with steel sheets from 6 to 20 feet wide range . Includes Rexroth hydraulic valves made ​​in Germany , NOK seals made in Japan and a main engine from SIEMENS, brand includes electrical components made by SCHNEIDER from France. A control system E21 ESTUN with 42CrMo material blades and a gear pump.